Redford, the larger beagle (and successfully adopted-out foster dog!) and Noodle, the smaller beagle, decided to escape the back yard and went running through the neighborhood. 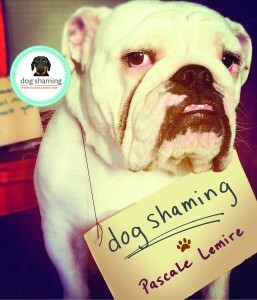 Haha, I’m familiar with that guilty-beagle-look. Wily little critters…. Believe me. They’re not sorry! They had fun playing a game with mom and dad! You guys made their day! Too cute! They are like my jack, they wont look directly at you when they are in trouble! Aww! My dog is in time out right now as well. They think it’s hilarious having a human chase them–what fun! Not to mention beagles have a reputation for being ‘escape artists’. We used to chase 2 of our 3 beagles often enough that the neighborhood would go on beagle alert and start blowing up our phones and Facebook when they were spotted. Baxter and Pebbles were NEVER sorry. Thank goodness for a few years of beagle maturity and a fence that cost more than my car! Beagle are roamers at heart…they can’t help it…they’ll dodge EVERYTIME!!! I don’t think they’re sorry! That’s just the way beagles are but I love the expressions on their faces. My beagle is able to jump out of her harness, gentle leader and anything else I put on her. She’s a nose with four legs!!! They’re sorry they were caught! Tee hee!! Love thatt look on Redfords face! BTW, both of these gorgeous hound dogs came from Atlanta Beagle Rescue! My beagle Lucy got her cute little self arrested on time. I still have her mug shot. How fab are these two! I’ve a Beagle Harrier cross….little devil he is! Made a show of me many a time! 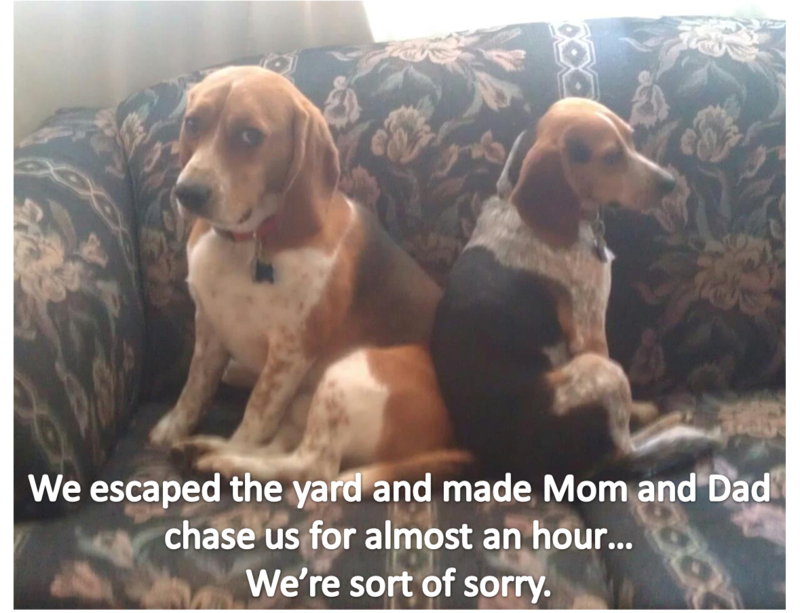 oh hahahaha…..beagle alert…..i can relate to that…..have five rescues now…..only two are interested on what’s on the other side of the fence….but katie, the beagle that made me fall in love with beagles…. LOVED to run!!! as fast as we could patch holes she’d find another….she was like *chase me!! * i discovered, after chasing her halfway across the neighbors pasture, by running AWAY from her, she chased ME….all the way home!!!!! never a dull moment….i love my beagles….and two of mine were referred to me by ATLANTA BEAGLE RESCUE!! !